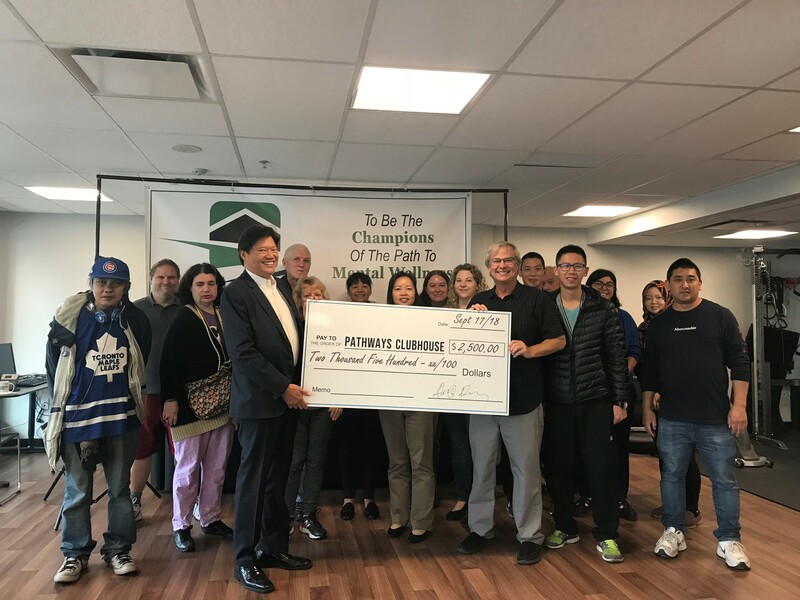 Councillor Derek Dang made a donation to Pathways Clubhouse. Pathways Clubhouse is a Clubhouse International accredited program located in Richmond, BC, Canada. Pathways Clubhouse has over 350 active members, an average daily attendance of 70, 25 employees, and is open every day of the year. Pathways Clubhouse offers hope, encouragement and opportunities to members who have a mental illness. Members reclaim their lives through a supportive environment that focuses on the person’s strengths and talents, rather than their illness. We work together as a group and create opportunities for members to return to school, gain employment, and have a place to live, connect with their families, make new friends and create multiple successes.